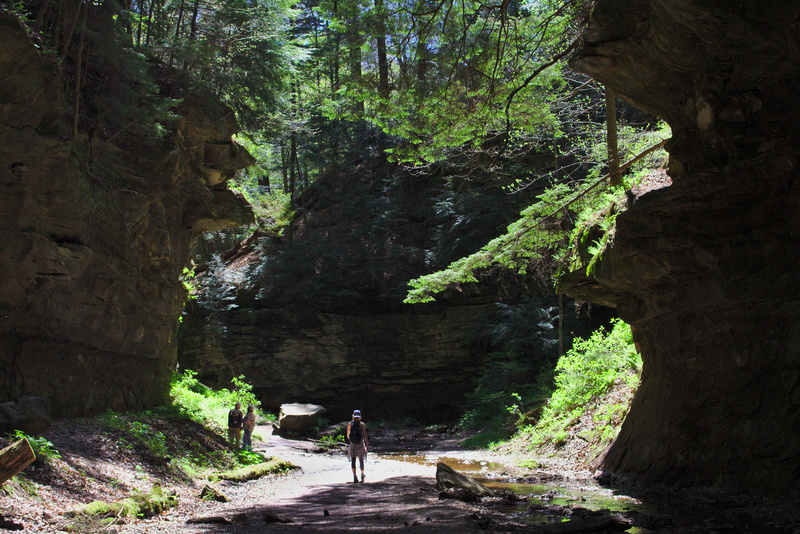 Explore Turkey Run’s trails on a late April weekend. 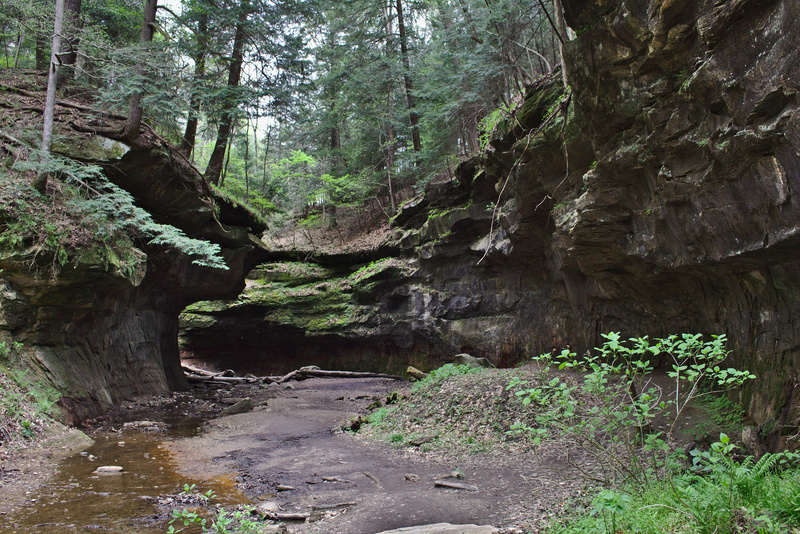 Trail 3 features sights like Rocky Hollow, Punch Bowl, and more. Shot on Canon 700D with 18-55mm lens. With one month remaining before our wedding, Jade and I decided to take one final camping trip. Rain kept us out of southern Indiana, home to my favorite state parks in the state including Brown County, Clifty Falls, and others. We decided on Turkey Run, which at first felt like settling. 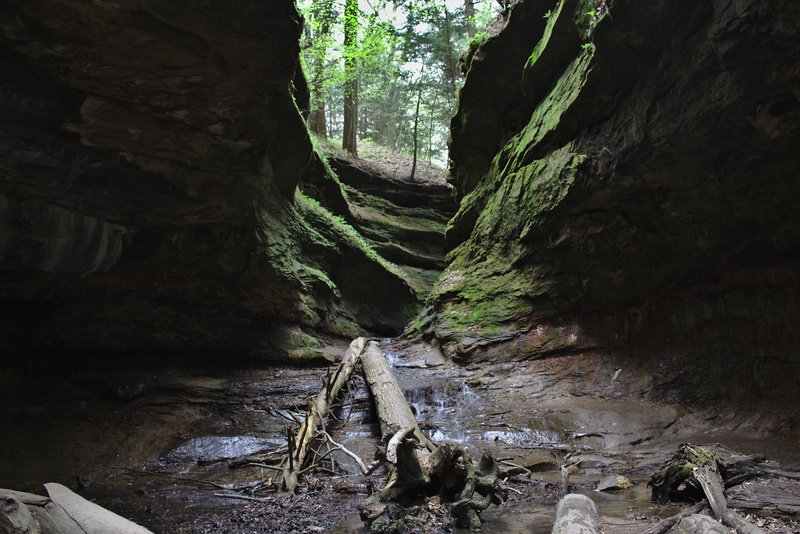 I’d forgotten the amazing trails, canyons, and ambience at Turkey Run and I’m glad we got to explore it one more time. 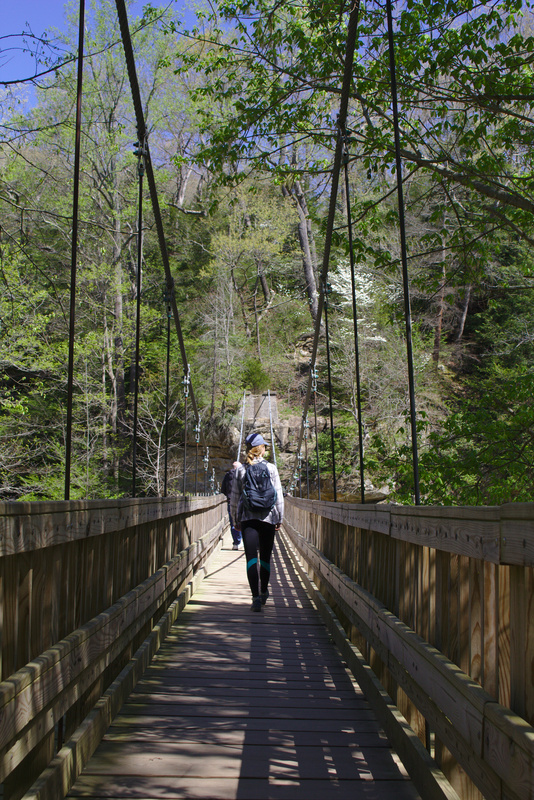 One of the most popular landmarks in the park is the suspension bridge traversing Sugar Creek which separates much of the main park from the hiking trails. Crossing it feels like entering a different place. A gateway. And there are great places beyond it. The beginning of trail 3 between Rocky Hollow and Punch Bowl is my favorite area of the park. 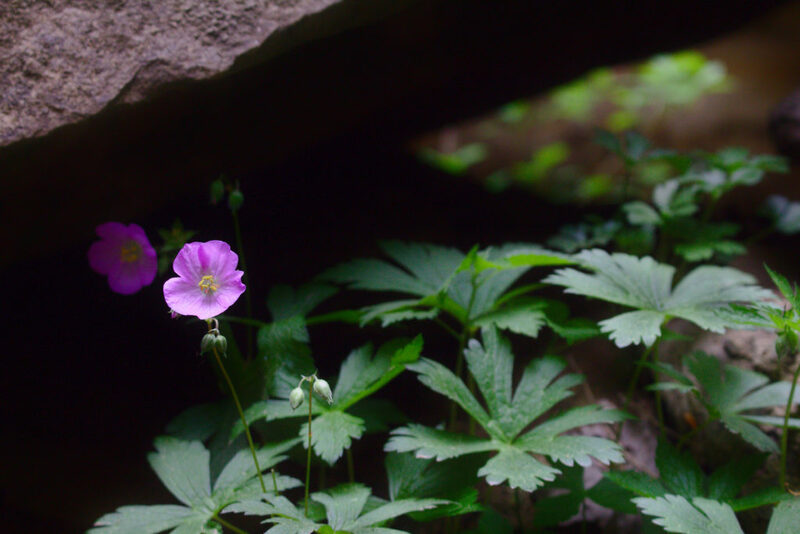 Walls of rock rise around you, latticed in moss and small plants where the light reaches. The forward angle of the walls and the trees above them give the feeling of being in a cauldron. To see uninhibited light you have to look straight up. The expansive canyon quickly shrinks to a tight corridor cut out by a stream. A downed tree leads you towards Punch Bowl, fittingly taking you from the brown and orange dirt of Rocky Hollow at its roots to where its leaves would’ve been at the top, and a path dominated by green. The stream winds through hallways that open and close around you, creating some spectacular ambient effects. 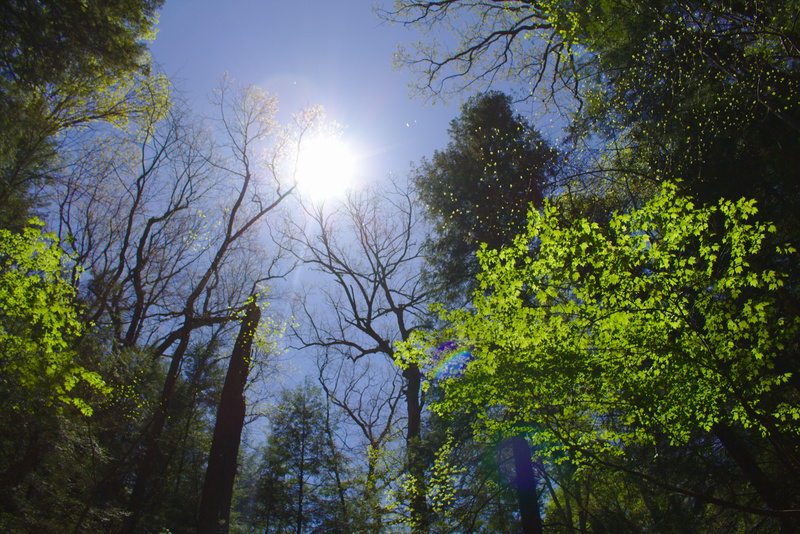 Dust, lit up by the sunlight shining through the treeline, dances around above you giving the impression the forest is very much alive. It feels mystical when you’re alone there. Shades of green punch out of the rocks, and if you’re lucky enough to be alone in the space all you hear are birds and the stream. The first day we went was cold, so we had most of the trail to ourselves. The next day was warmer and crowded, and while still beautiful you lose some of the effect. Late April in Indiana is unpredictable. But it’s been warm enough this year for the trees to come alive and wildflowers to pop out alongside the trails. If you follow trail 4 east from the suspension bridge all the way around to Punch Bowl you’ll find large patches of yellow, purple, blue, and red wildflowers lining your path. If you’re headed to Turkey Run, here’s my recommendation. 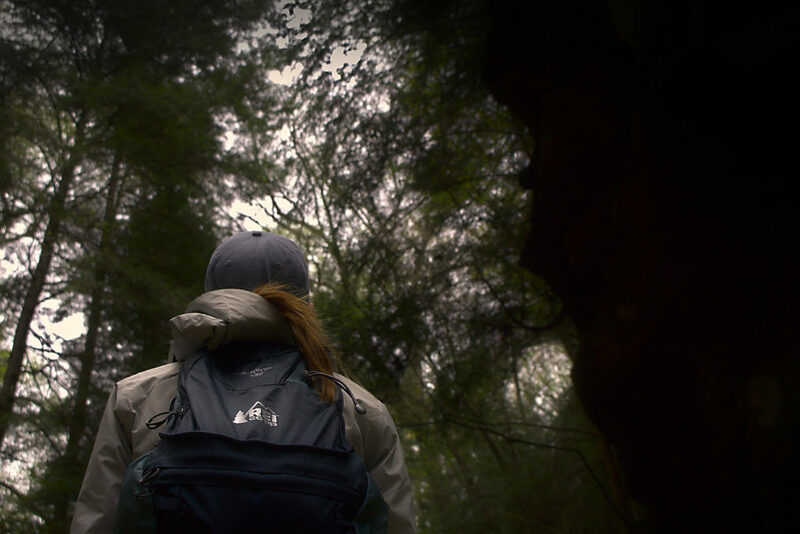 Pack a daypack with snacks and water for your hike. Plan time to stop and enjoy some of the better areas on the trails. 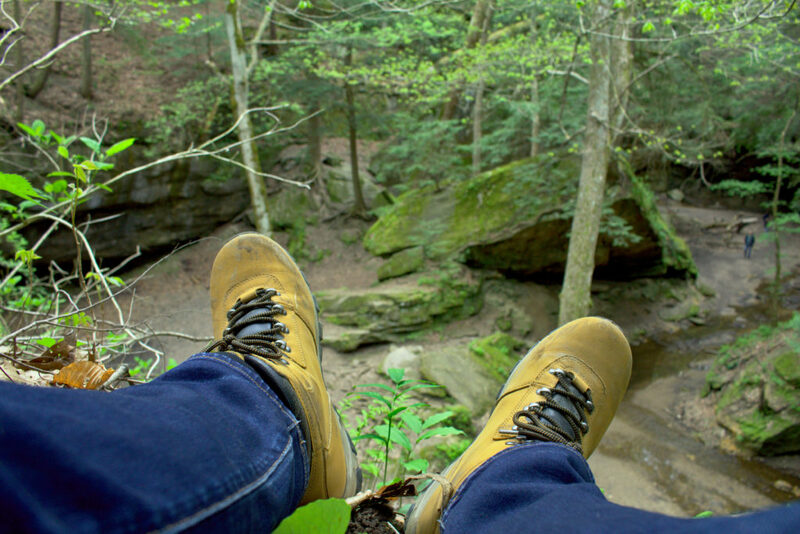 Turkey Run has a handful of spots that are great for bringing a book, journal, or to simply sit. 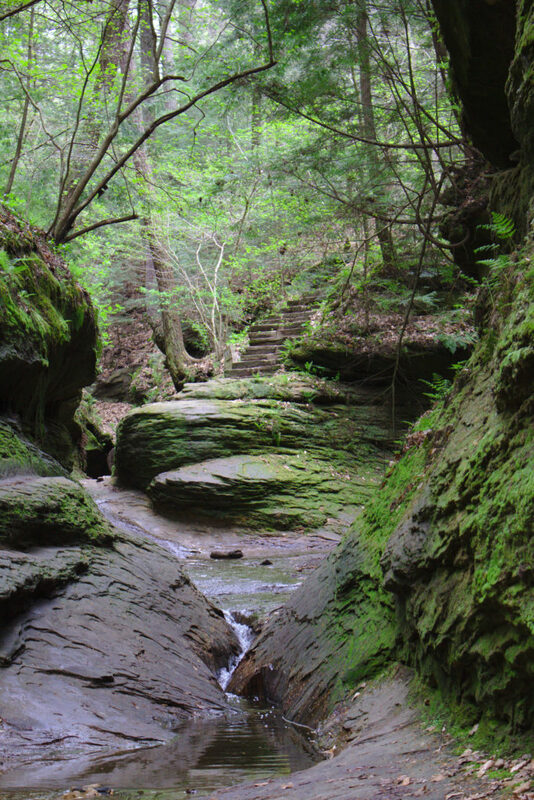 Cross the suspension bridge and follow trail 3 through Rocky Hollow to Punch Bowl. Keep on 3 all the way around to where it splits at 140 steps with trail 5. You can take a longer route there by splitting off onto trail 10, but in my opinion trail 3 is worth staying on. At 140 steps keep right onto trail 5, then keep right when it turns into trail 9. This will take you around the west side of the park through Boulder Canyon and Falls Canyon. Stay along Sugar Creek when trail 9 meets back with trail 5, and follow it all the way back past Ice Box to the suspension bridge. This route is rugged and filled with places to stay and explore for a while. 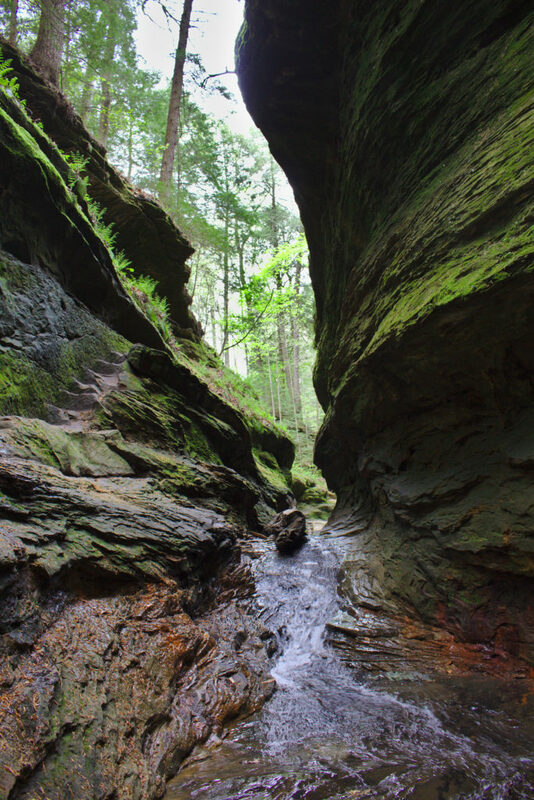 You can climb up parts of the canyon walls, sit atop massive boulders, and stand beneath waterfalls. Here’s a map for reference. 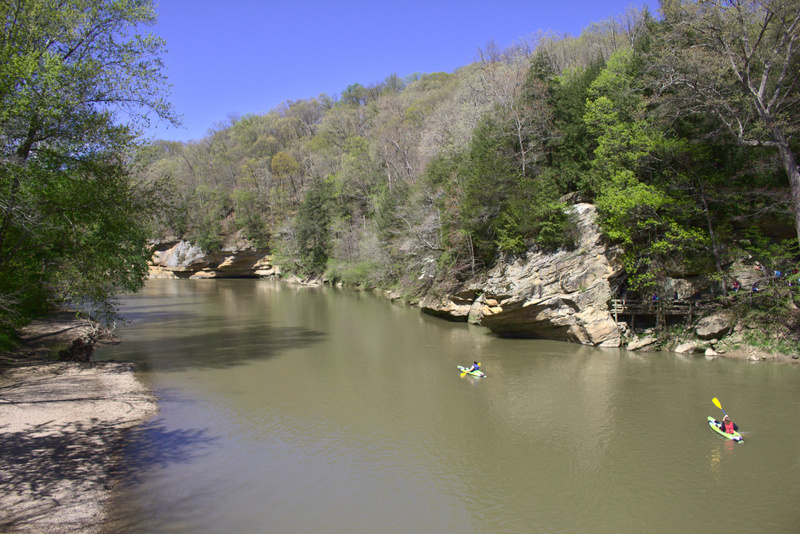 Visit Turkey Run before the season starts when campsites are still walk-in only, around mid-April. The nights will be chilly but the trails will be quiet. A perfect way to start the camping season in Indiana. Enjoy this? Check out my photo essay from Falls City, Nebraska.